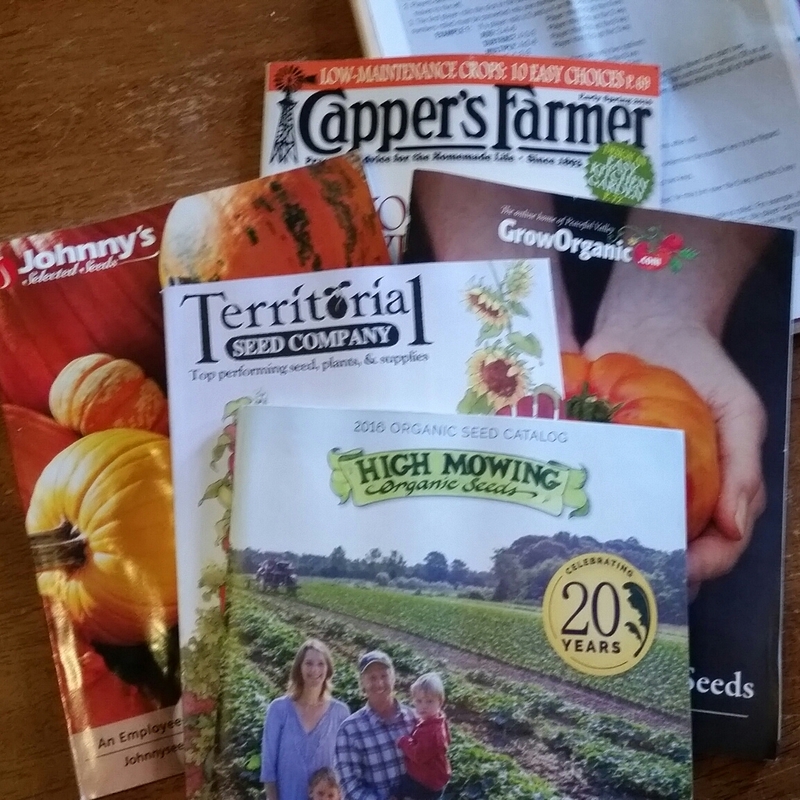 The seed catalogs have come and are sitting on my counter, taunting me, ready to be rifled through and dog-eared. It’s time to pick my seeds and get my schedule going. Every year I comb the internet for a good seed starting schedule and every year I start my seeds either too early or too late. This year I found a schedule and method that will be different, at least I hope. I found this method on a blog called A Garden for the House. No expensive materials. No difficult methods. No space issues. The seeds are sown and then put outside and left alone until Spring. That’s right. Outside. In the cold and snow. Left alone until Spring. Pick and order your seeds. Make mini greenhouses using milk or water jugs. This is genius. Add soil to the greenhouses then pre-soak. The soil will need to be well-drained. I usually have a problem with this due to my paranoia that the seedlings will not get enough water. I end up with a layer of fluffy fungus on the top of the soil that stunts and eventually kills the growing seedlings. Label jugs with date started, seed variety and (if possible) number of seeds started and plant your seeds. Place outside and leave them alone until Spring. No need to transplant to larger pots which can damage the roots and slow the growth of the seedlings. No need to take up valuable space on the kitchen counter and in window sills. No need to pre-soak the seeds. The freezing and thawing will naturally loosen the seed coatings. No need for grow lights, heating devices, or seed-starting kits. No need to check to make sure seedlings are getting enough water…until Spring. There will be enough condensation during the freezing and thawing to manage moisture. I admit I’m skeptical and still plan to start a few flats indoors as a control for this, possibly risky, experiment. And I still plan to check the soil a few times a week to make sure it is moist enough. But…a few google searches on winter sowing showed me that this method works. Hundreds of gardening sites and blogs supported the method including Burpee. And why not? Just think of all the volunteers that sprout and grow, most of them ending up being stronger than the seeds I start. They are outside, hibernating all Winter. They aren’t watered and pampered…to death. They wake up in the Spring and push through the soil and end up being stronger than the seeds I start in my basement. It’s observing then interacting with Nature. It’s Permaculture. This entry was posted in Garden Stories, Haiku, Permaculture, Writing. Bookmark the permalink.